Some of the most exciting and innovative menswear designers today come from London. Fusing high fashion and streetwear silhouettes, Asger Juel Larsen is definitely one of menswear's most promising designers we should all watch out for. Recently, I had a no holds barred interview with the acclaimed Danish designer who is fast becoming a household name in the world of high fashion streetwear. 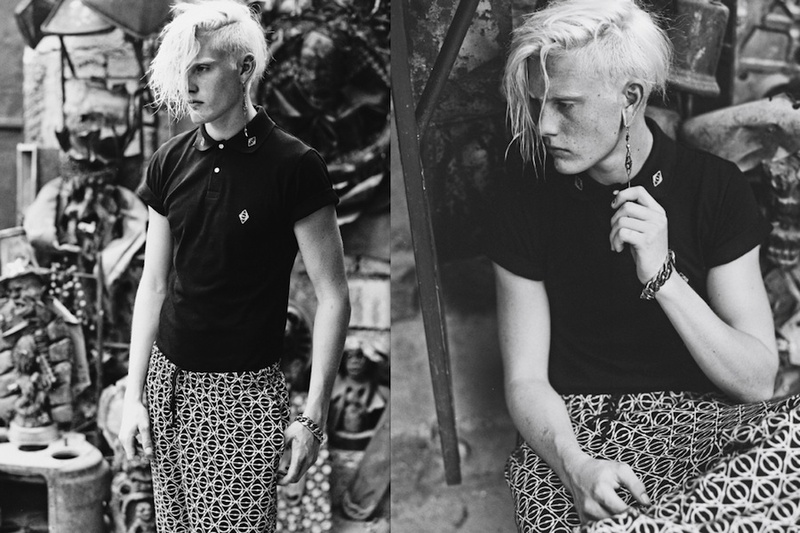 Here, he talks about his latest collection, youth, London, music and his motherland. Personally, I like mixing items and ideas. Whether it is inspired by a rollercoaster ride straight to hell or roses falling down from heaven. Clichés are fun, but they have to be worked and challenged constantly. To me, focusing only on one thing is too repetitive, therefore many items are incorporated in each collection. 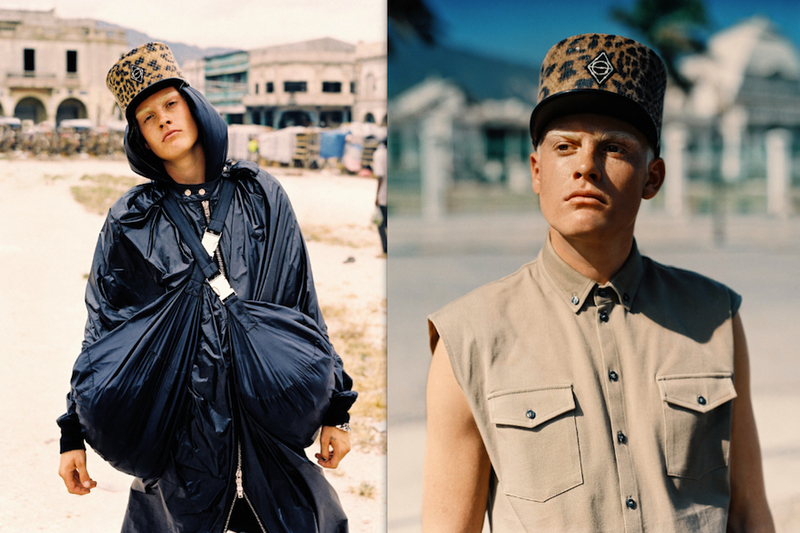 Is there such thing as a signature "Asger Juel Larsen" look? If so, can you briefly describe it? It changes each season, but I love making crafted jackets or full digitally printed silhouettes. Somehow, I can get a kick out of the idea of bringing some muscular attitude to an otherwise rather shy skinny person. It is all about contrasts and exploration. Your latest collection is entitled "CCTV ON FIRE". What is the story behind this? In short: it is to act out, take control and to go against surveillance. One should essentially loosen up a bit whilst embracing a touch of humor. What are this collection's key pieces? Are there any items that you are particularly obsessed with? The rather bold hell-fire outfit was one of my personal favorites. How do you come up with ideas for your collections every season? Are there any interesting rituals that you normally do like taking a vacation somewhere, going to a museum or perhaps listening to your favorite tunes? Almost each collection I’ve done, arrives from my a place in my youth. From this starting point, I aim to bring the initial idea out of context and mix it up with something completely different. For me travels do not really inspire me, it is more a state of mind and where my thoughts are in that specific moment, that get me going in the design process. And yes, we do listen to a lot of music in the studio. Music makes you happy! My friends from London play in a band called ‘Is Tropical’ and we have been listening to their new song ‘Dancing Anymore’ non-stop. Check out the video for the song, it is quite something. Copenhagen is fast-becoming one of the most important players in the fashion industry. What makes Danish fashion different from the rest of the world? There is still a long way to go but one can definitely find a healthy business sense here. Many clothing companies in Scandinavia are generally strong both commercially and conceptually and it is easy to recognize what the company is about. I see this both as a good and a bad development. You are a product of the prestigious London College of Fashion. Why did you choose to study in London over other fashion capitals such as Antwerp, New York, Paris, Milan and Tokyo? And where do you think London stand in terms of the men's clothing industry? I wanted to study at LCF mainly because craftsmanship and design are measured equally. As a designer I think the pattern making process, is just as important as the initial design concept or the final end product. 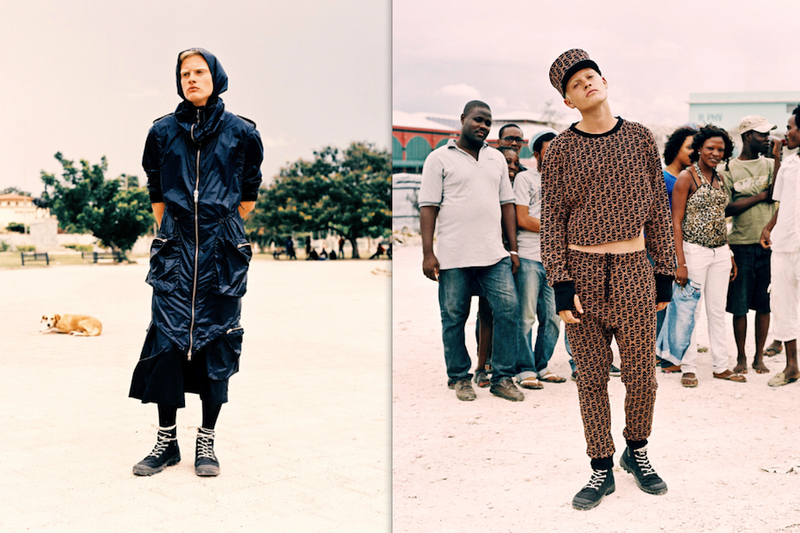 Furthermore, there is so much talent coming out of London and especially the menswear graduates are doing really well. Finally, you have a lot of organizations supporting new designers allowing them to survive those challenging first couple of years. How did living in London affect your craft as a designer? I really enjoyed getting to know the ways of traditional British tailoring, military tailoring and especially the possibility to experiment with alternative materials. It was great to study with people from all over the world. This for me enhanced my life, inspired and changed my mindset in many ways. Do you think your work is more British or Scandinavian now? Personally, I don’t think it’s either one. I like to push myself as much as possible for each season. Therefore, I would rather test new ways of doing things than to be placed in a box where people expect something specific from me. Even though I have designed several collections now, I still try to evolve and pursue innovation. I have so much creativity bubbling inside me and there are still so many things I want to do. You have described yourself "as a freak in high school in Denmark" on an article published on DANSK MAGAZINE. Can you further elaborate this? How did you look back then? Well, I actually did not describe myself as a freak; those were the words of the journalist in case. Actually, I look back at my childhood fondly, with loads of happy memories. I might have stood out a bit and did things my own way, but I only see this as positives. Who do you think best embodies your brand's general aesthetic? Is there someone particularly famous who you would love to dress up? Your collections oftentimes reflect a certain androgyny. Do you have any plans of creating a line exclusively for women? Our diffusion line, A.J.L Madhouse is unisex and not restricted by seasonal demands. It has been nice to see that girls also want to wear our gear. We will see how the A.J.L Madhouse line continues to grow commercially before expanding with a full womenswear line. 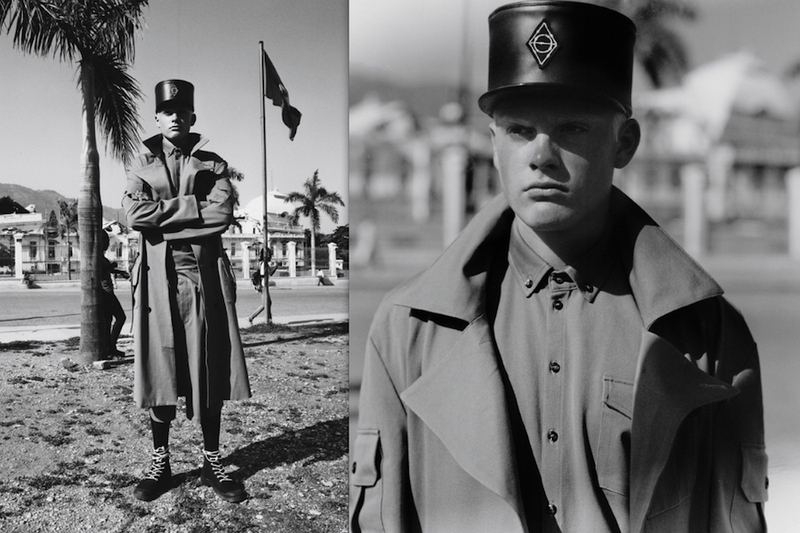 What's next for Asger Juel Larsen? It will be a hectic but fun summer. We are doing sales during the Paris, Berlin and New York fashion weeks. All this will culminate in our SS14 runway show during Copenhagen Fashion Week in August. Furthermore, we have some exciting collaborations coming up. 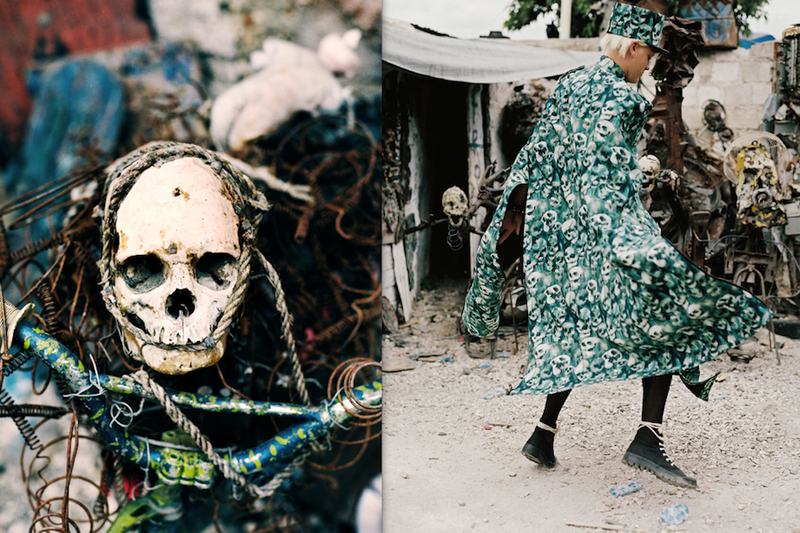 Asger Juel Larsen is one of the Scandinavian designers showing in Copenhagen that I'm really stoked to see. Once again, I will be covering Copenhagen Fashion Week for my blog. So stay tuned for that! Special shout-out to Marlo Saalmink for making this exclusive interview possible. 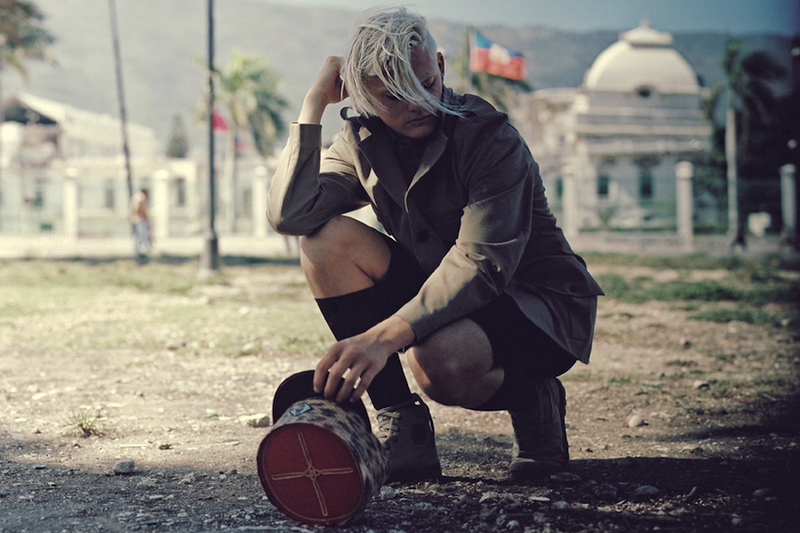 Visit www.asgerjuellarsen.com for more information on Asger Juel Larsen.